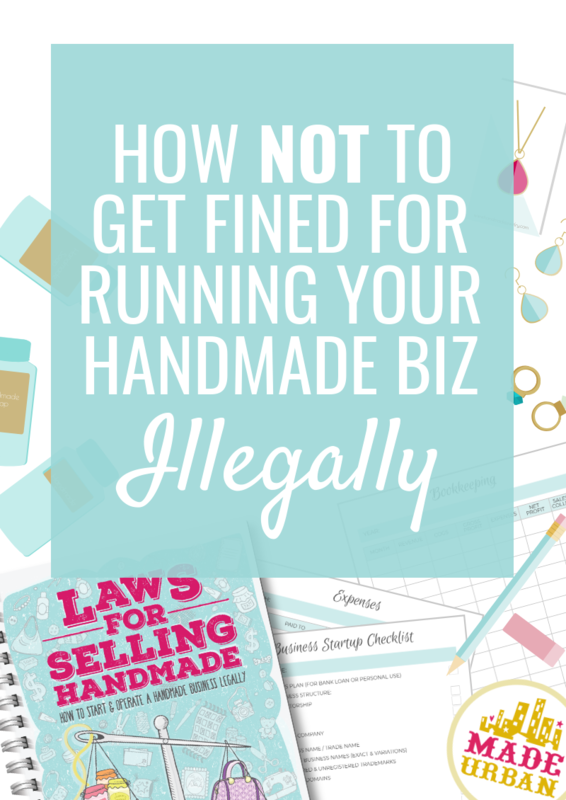 Were you under the impression that your business is too small to follow the laws? I know the laws aren’t always straightforward and can be overwhelming. I also know this is probably something you’d prefer to ignore and hope it doesn’t catch up with you, but this is a quick to read, easy to follow guide that will give you a peace of mind today. Don’t save this page to come back to later. Take two minutes to download the ebook now, get to work crossing items off the legal checklist (checklist is included) and finally get that monkey off your back. I’ve written everything in an easy to understand language and given you simple to follow steps so you can start taking action now…without feeling overwhelmed. The information contained in this ebook is given as general legal information, and does not consist of legal advice. The information herein is provided by non-lawyers without any legal representations; it is not an alternative to obtaining legal advice, and should not be treated as such. If you have specific questions regarding a legal matter, you are urged to contact an attorney or other professional legal service provider. Nothing contained in this ebook will act to limit our liability in any way. Do I have to charge, collect and remit taxes when selling my products to customers in other countries? Can I sell products using Disney characters or team logos? 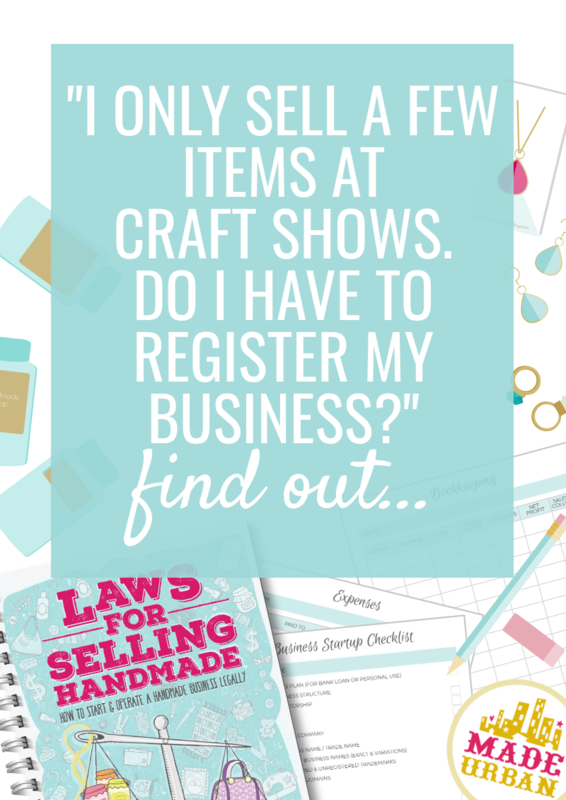 Do I need a business license even if I’m operating out of my home or selling at craft shows? Do I have to follow soap/label/children’s product regulations if I’m a small business? Do I have to follow regulations in other countries if I’m shipping my products there? If you didn’t complete the steps to legally set up your business when it first launched, I strongly suggest you do so now. And you could be hit with some hefty fines, forced to stop selling items or worse, have your business shut down. But it doesn’t have to be overwhelming to properly set up your business. …And that’s why I wrote this ebook, in a simple, easy to understand language; skipping the fancy legal jargon. It’s 43 pages plus 5 worksheets. Printable checklist and spreadsheets to help you keep track of your businesses sales, inventory, legal tasks, etc. Which countries does this ebook apply to? The information outlined in this ebook covers general steps that apply to almost any country. It was written based mainly on US and Canadian laws and provides links to specific resources for US, Canada, UK and Australia for each step of starting a business. No. I am not a lawyer and the disclaimer in my ebook states that I am in no way providing legal advice. I’m a business owner who has started several businesses (and several types of businesses) and gained a basic understanding of how to properly set one up. I’m selling a unique product/running a unique business; will this information apply to me? Most likely. Almost every business must take the same basic steps to set up and operate legally. Although this ebook doesn’t get into the nitty gritty details of the laws for each specific type of business and product or for every state/province and country, it provides the general steps your business must likely follow and provides information on what to research for your specific business, business activities, products, jurisdiction, etc. The information contained in this ebook is given as general legal information, and does not consist of legal advice. The information herein is provided by non-lawyers without any legal representations; it is not an alternative to obtaining legal advice, and should not be treated as such. If you have specific questions regarding a legal matter, you are urged to contact an attorney or other professional legal service provider. Nothing contained on this ebook will act to limit our liability in any way. I’m Erin, founder and one of the creative minds behind MadeUrban.com. I’ve been in the crafting industry over a decade now, with 2005 being the year of my very first craft fair. 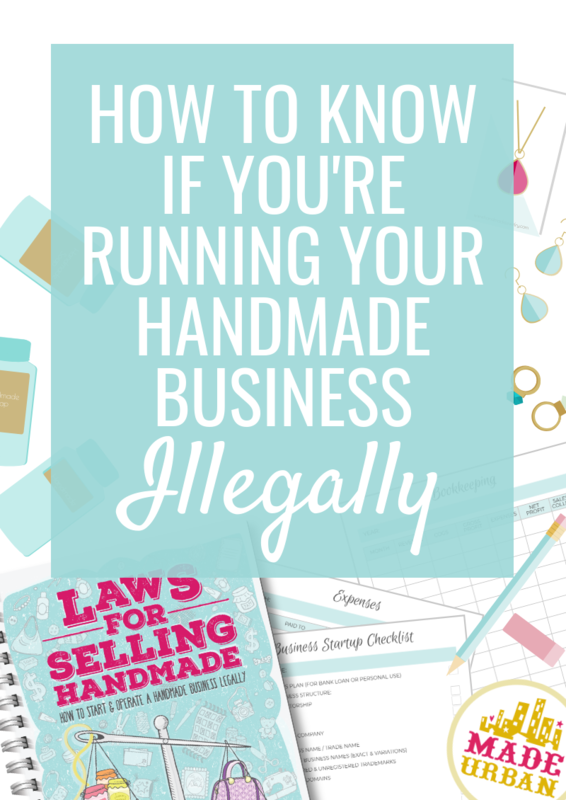 I started as the poster child for “craft fair don’ts” and grew into a successful handmade business owner selling full time through craft fairs, online and wholesale accounts. That small business led me to my current dream career of helping others with their creative businesses and working for the cuddliest boss in the world… my cat Josh. As a Visual Communications Design graduate, past Regional Visual Merchandiser, former craft show vendor, current crafty website owner and forever and always a handmade hoarder, I’ve learned a few tricks along the way. From methods taught in the classroom to techniques used by major retailers to bring in the big bucks, I’ve tested them all to see what works and what doesn’t. I want nothing more than to see your small business succeed and to share every bit of information I can to help you along the way. I hope you love reading my advice as much as I love sharing it. Check out the blog if this is your first time visiting Made Urban. Read a few articles to be sure you like my style of writing and find my advice valuable. Over 10,000 people have joined my Seller Newsletter and my articles are read by thousands each day, so I’m confident you’ll find value in my articles or ebooks too. 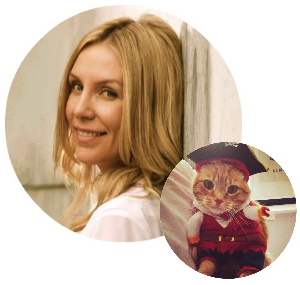 If you have any questions about the ebook, my articles, Made Urban or cats, I’d be happy to answer them!